Fatherhood can be extremely rewarding, magical, and a lot of fun. Your child obviously is the number one priority in your life, but since you’re likely already busy with your career and other personal matters, things can get overwhelming pretty fast. You want to make sure you’re doing everything you can for your children so they can have a happy and healthy life, but it can be tough to keep them active and engaged since technology is so readily available nowadays. Luckily, summer camps exist and kids love spending time in these environments. In fact, each year more than 11 million children and adults attend summer camp in the United States. It’s not like you’re dropping off your kid and won’t interact with them for a few months — you still have all your fatherly responsibilities, of course. But it’ll be nice to take a breath and compose yourself a bit for the rest of the year. 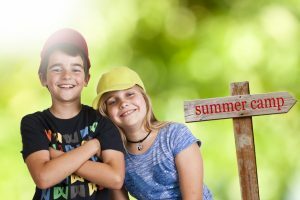 Children with Attention Deficit Hyperactivity Disorder (ADHD) — 11% of all children in the U.S. aged 4 to 17 — can greatly benefit from attending summer camp, as well. They’ll be able to have fun and find out what works best for them in an educational setting. But rather than learning about conventional school subjects, they’ll learn about fun camp-related stuff! They’ll learn new things — If your kids spent the summer at home, they might play outside a bit, but they’d spend the majority of their time playing Fortnite or watching TV. At camp, they’ll learn all kinds of new things and might even find a lifelong interest. According to research by the American Camp Association (ACA), 63% of children who learn new activities at camp will sustain interest in those activities after camp is over. They’ll develop strong social skills — There is plenty of communication at school, sure, but it’s primarily focused around education. At camp, kids will learn how to effectively work with each other and adult mentors, build relationships, and handle camp-related conflict in healthy and positive ways. They’ll develop an appreciation of nature — Kids at camp aren’t just spending time away from technology, they’re spending time outdoors and learning about nature. Too much time indoors can dull your child’s senses and deprive them of some of life’s simple pleasures. At camp, kids will learn how to handle themselves in the wilderness, they’ll learn about plants and animals, and they’ll have plenty of fun outdoors! They’ll come back healthier — Across the country, the childhood obesity rate is 18.5%. Since obesity in children has doubled (quadrupled in teens) over the last 30 years, every little activity helps. There are so many activities at camp that allow kids to stay physically active, busy, and healthy. Additionally, camps are offering much more healthy food options than in the past. According to a study published in the American Journal of Health Behavior, camps that offer wholesome foods are more likely to turn their campers into fruit and vegetable eaters. Children spending time at camp certainly helps out busy parents, but it’s the kids who benefit the most. Roughly 96% of campers say camp helped them make new friends, 92% said camp made them feel better about themselves, and 74% did something they were afraid to do. Camp truly can change a child’s life for the better!